With most of the world’s population now living in cities and concern mounting about the economic, social and environmental challenges the face, interest in the field of urban planning has risen tremendously. To meet some of these challenges, planners, policymakers, technology specialists, and citizen advocates are working to leverage the immense potential of the Internet to rethink how people can participate in decisions about the shape and direction of their community. 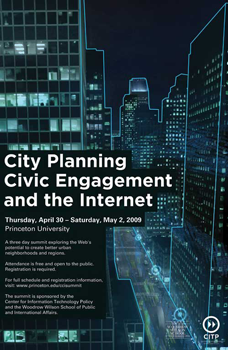 Learn best practices for increasing public participation using the Internet. Find out how governments, non-profit organizations, and neighborhood groups are gathering and providing data online. See some of the latest web tools designed to help residents find out about trends and changes in their neighborhood. Attendance is free, however space is limited and registration is required. See how web tools are being used to engage communities in planning processes. See how web technology can help citizens to find out what happens in their neighborhood, and find out how governments and organizations can better respond to and benefit from its connected populace. A discussion about how public agencies and organizations have been able to overcome the technical, political and financial barriers that prevented them from developing and deploying citizen‐centered web technology. Easy‐to‐use web based mapping tools that put the power of geographic information systems in the hands of the public. How governments and organizations can use web technologies to make their data accessible and free to the public, and why they should do it. Examples of tools that make government and planning data and concepts user‐friendly and easy to understand. Live demos and participation of a range of applications and techniques including using iPhones and mobile phone polls, and building asset maps with a team of GPS enabled iPhones and/or touch sensitive tablets. 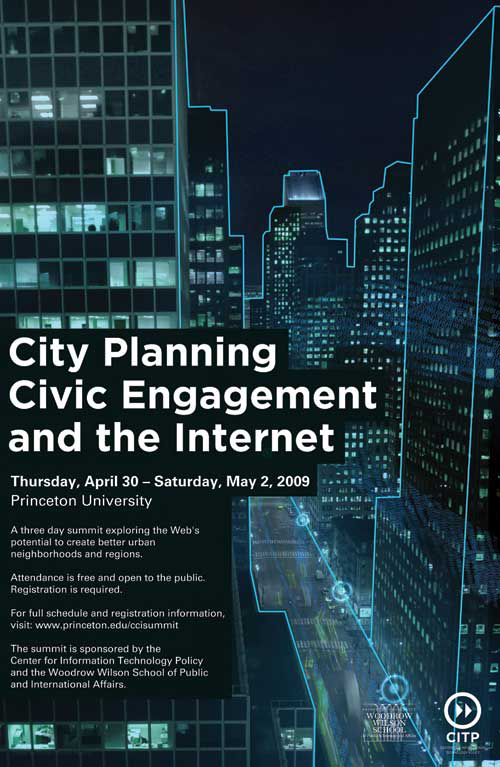 Learn how to use popular web technologies (mapping, blogs, sms) to engage communites in planning during this hands-on workshop.